With an introduction by New York Times bestselling author and famous minor television personality John Hodgman. 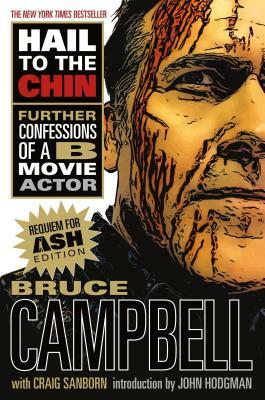 His roles have been as varied as they are numerous--from the Spider-Man movies to his self-referential My Name is Bruce to the #1 show Burn Notice and his STARZ hit series Ash vs Evil Dead. Bruce covers the professional and the personal with stories about his quickly canceled series Jack of All Trades, working on Sci-Fi Channel movies in Bulgaria and playing Santa Claus and Ronald Reagan as well as his move from Los Angeles to Oregon where he distills lavender and joins the local Elks club. And now in this updated paperback, Bruce shares brand new stories from his life since the hardcover's publication, including a requiem of Ash and details from his European book tour.